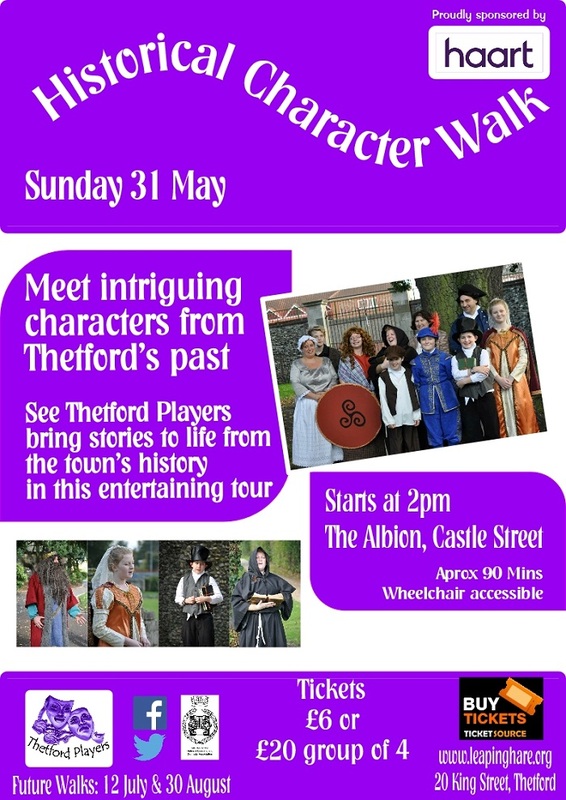 See Thetford Players bring stories to life from the town’s history in this entertaining tour. Learn more about well known individuals with Thetford links such as Thomas Paine and Boudica, as well as local people such as Betty Radcliffe and Sir Joseph Williamson. Walks will take place on Sunday 31st May, Sunday 12th July and, as part of Thetford's Great Festival, on Sunday 30th August. All walks will start at 2pm from The Albion, Castle Street, Thetford.